In the highly contested retailing arena, many companies compete for the lead. Although one would believe that retail giants like Wal-Mart Stores, Inc. (NYSE:WMT) or Costco Wholesale Corporation (NASDAQ:COST) would dominate the market, it’s dollar stores that have taken the lead over the last few years. These shops offer prices that are, on average, 20% lower than the supermarket mean, convenient locations, small-box format stores for a more comfortable shopping experience aimed at a targeted customer base. The segment is less susceptible to the advance of internet shopping, too. Dollar Stores client base is mainly composed of lower-income households (under $30,000-$40,000 annually) that do fewer online shopping, according to surveys carried out by research firms The Pew and ComScore. This out-performance has attracted numerous investors over the past few years. Nevertheless, doubt remains concerning what companies investors should consider. In this article, we’ll examine reasons to invest in each of the three biggest firms in a sector that’s far from reaching its growth limit. Expert calculations reveal that over 15,000 Dollar Stores can still be introduced successfully in the U.S. market. 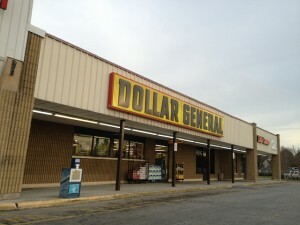 Dollar General Corp. (NYSE:DG) is, by far, the largest retailer in the Dollar Store sector, with over 10,000 shops across the U.S. Although not expected to outperform, its stock is projected to be up by 9% by the end of fiscal 2013, reaching a target price of $56. Its attractive business model, great administration, and impressive scale provide the company with the highest consensus growth estimates within the main player in the industry, reaching an estimate of 12.7% for the current year versus Dollar Tree, Inc. (NASDAQ:DLTR)‘s 10.8% and Family Dollar Stores, Inc. (NYSE:FDO)‘s 5.5%. Also top in the sector are revenue consensus estimates, as Dollar General is expected to deliver $17.6 billion during fiscal 2013, compared to Dollar Tree’s $7.94 billion and Family Dollar’s $10.54 billion. Its efficient management (singled out as a best-in-class) has been reflected not only in general growth, but also in consistently increasing EBIT margins and sales productivity. Expansion opportunities are far from capped. The company’s latest Management earnings call states that approximately $300 million will be invested in new shops, remodels, relocation, and the acquisition of pre-existing store locations. Around 50% of 2013’s capital expenditure will be allocated for store growth and development. Consequently, store base growth is expected to maintain the 7% CAGR that has been consistently reached since 2007. Another issue that should be taken into account is the roll-out of tobacco in Dollar General stores. This initiative, combined with the incorporation of beer and wine sales in most of the stores, is expected to boost comps and profit, since it has proven effective in competing chains. Family Dollar Stores, Inc. (NYSE:FDO), for example, retrieved positive results as comps grew and is expected to continue to increase thanks to the impact of tobacco roll-outs. Dollar Tree, Inc. (NASDAQ:DLTR), on the other hand, is the smallest of the three main companies in the sector, withunder 5,000 stores (less than half as many shops as Dollar General Corp. (NYSE:DG), and about 3,000 less than Family Dollar). However, this firm is the most valued in the segment, offering the highest multiples: P/E, P/S and P/BV ratios reach 17.54, 1.45, and 6.44, respectively, for the trailing twelve months as of March 2013 (see Table 2 for compared multiples). Premiums paid indicate that investors and analysts are confident regarding the growth figures this company will deliver. It’s highly differential retail model, even compared to other Dollar Stores (mainly because of its $1 price point), combines the comfort of small-box format shops with the low prices offered by large, but uncomfortable, discounters like Wal-Mart. This advantage has been crucial to the company’s success. Earnings per share have increased 62% between 2010 and 2012, and predictions indicate that they will grow another 23% in the next two years.